What Kind of People Are not Likely to be Recruited by Companies and Bosses? Can you write excellent CVs and motivation letters but in the end always fail to achieve success in the interviews you have been invited to? If this question does not fully apply to you because you are actually not able to write a CV, we recommend that you read our article entitled How to Write a CV. 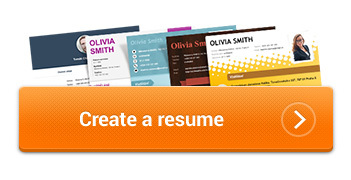 Or simply have your structured CV generated here. However, if you have replied YES to this question without even thinking about it, think of whether you are not making a mistake and where the mistake is. You see, you may be one of the broad range of people whom HR workers generally don’t like to recruit to work in their company. Such people have been everywhere and know everything best. And they try to persuade all the people around them of this, including their superiors. Although it is a good idea to have initiative and to have imaginative and hard-working people in your company, everything should be in moderation. And humbleness. Some HR workers test such potential employees in which absurd tasks they are willing to perform and how far they are able to go in their endeavours. Therefore, if you find any of the activities performed in an interview disagreeable and absurd, don’t be afraid to show it. But be careful. Always be tactful. Employers have a similar approach to people who need to be led by the hand all the time. Your new employer will give you time to find your feet. However, you should not get settled and adapt longer than necessary. If you start hanging the dirty linen of your ex-boss out to dry in front of the HR worker when asked about why you left or why your ex-boss terminated your previous employment, you will certainly not make a good impression. No matter how justified your complaints are. It will be only a matter of time until you start throwing dirt at your potential employer’s name. The basic rule for writing a CV is to avoid lies at all costs. Even if it looks so nice on paper that you – for instance – that you speak German fluently, it is not difficult at all for an HR worker to verify this information. And even if you get through the interview on the basis of a lie, the lie will most probably catch up to you very soon. At any rate, you always lay yourself and your employer open to a really disagreeable situation. If you come scruffy and unkempt to an interview, you must be prepared that the HR worker will not be impressed. On the contrary. Prepare for your meeting to make the best impression possible as regards your appearance. From the very first moment. It has been proven that the halo effect, which develops immediately after you enter a room, has a subconscious but very strong influence on the further approach of your employer towards you. You can read about how to prepare for an interview as regards your appearance in our article called What to Wear for an Interview. The above-mentioned characteristics, which significantly influence the employer in his/her decision on whom to accept and whom not to accept, apply chiefly to personal meetings. Although some people are even able to hide such characteristics in the first meeting, an experienced HR worker will recognize and detect them during the interview and will take appropriate steps when recruiting such new employees. However, what may currently unfailingly block your way to a job you are trying to get, without your even being invited to an interview, are social networks. They are a trend to be dexterously used by HR workers. Either carefully protect your privacy on Facebook and other pages by means of suitable settings, or use the networks to your advantage and administer such pages in a professional way. The question is to what extent such "snooping" (and the resulting consequences) is justified. Nevertheless, what is not forbidden is allowed and it is clear that no one wants to employ a person who openly advocates neo-Nazism or posts contributions on his/her wall so frequently that he/she most probably has no time left for working.